Aloha & Welcome to Hawaii ..! 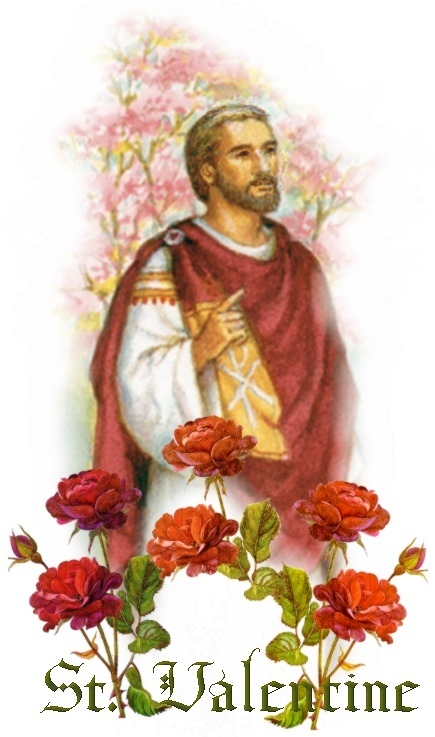 "Mahalo nui Aloha, God Bless, Michael AngelOh"
"The History behind Valentines Day" can really be traced back about 1500 years ago when while awaiting his execution, St. Valentine restored the sight of his jailer's blind daughter. On the eve of his death, St. Valentine wrote a farewell note to the jailer's daughter, signing it, "From your Valentine..." This then is thought to be the start of the current day tradition of sending Valentines Day cards. 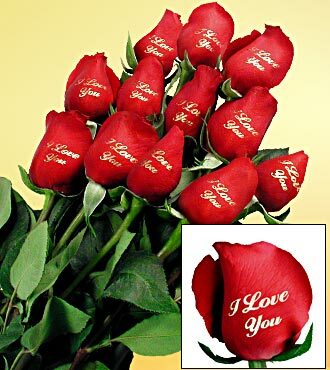 Then in 496 A.D. Pope Gelasius set aside February 14th to honour St. Valentine so then this special date became the excepted date for exchanging Love messages and St. Valentine became the "Patron Saint of Lovers". One tradition observes that Valentine's Day has its origins in the Roman festival of Lupercalia, observed on February 15th. 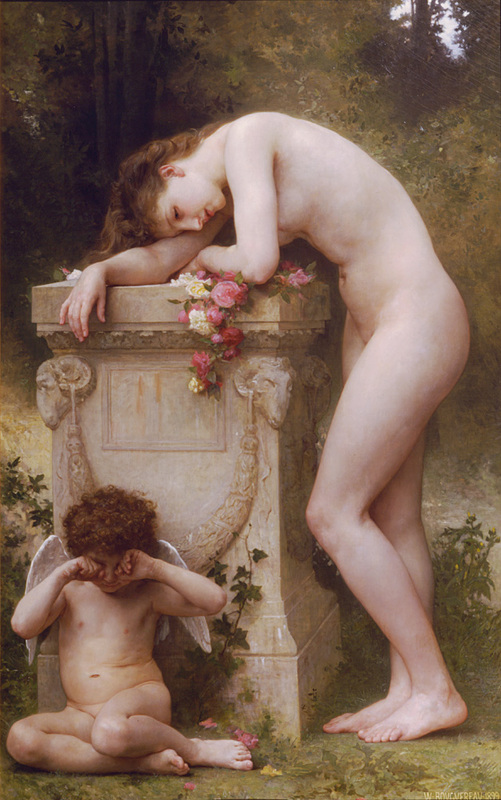 Lupercalia celebrated the coming of Spring in the Roman calendar. February was observed later in the year than it is today. Lupercalia was associated with the Roman gods Lupercus and Faunus. Lupercus watched over shepherds and their flocks and the festival of Lupercalia became a celebration intended to ensure the fertility of flocks, fields and people. The celebration of Lupercalia transformed and spread as the Roman Empire grew. 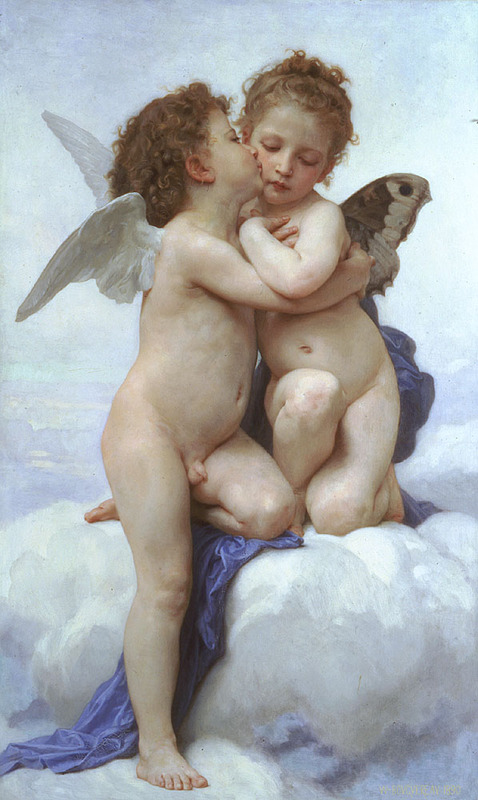 When the Romans conquered France, it was then that the first Valentine-like cards may have been exchanged. Apparently, a container in which women had placed their names (possibly accompanied by love notes) was used in a lottery. Men drawing a women's name would either seek or were guaranteed that woman's favors. 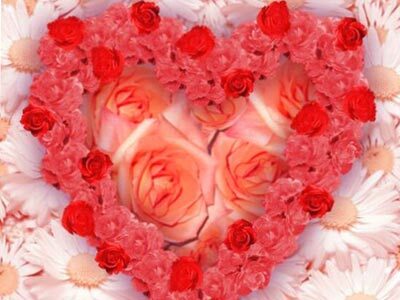 The legend of St. Valentine stems from real-life martyrs from the Roman Empire known as Valentines. 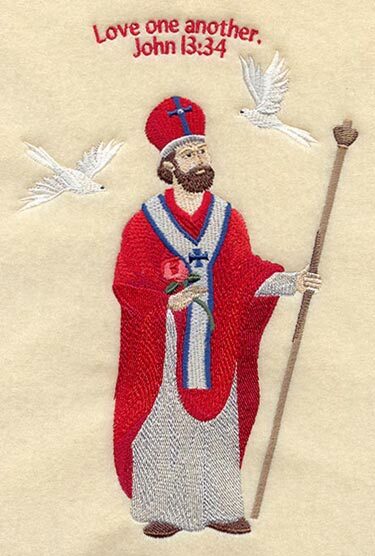 It is unsure who was the St. Valentine, but there are two possible candidates. One of these Valentines is believed to have been a Roman priest and physician. He was killed in the third century, during the persecutions of the Emperor Claudius II. After his death this Valentine was buried in the Roman road Via Flaminia. Pope Julius I is said to have later built a basilica above his grave. 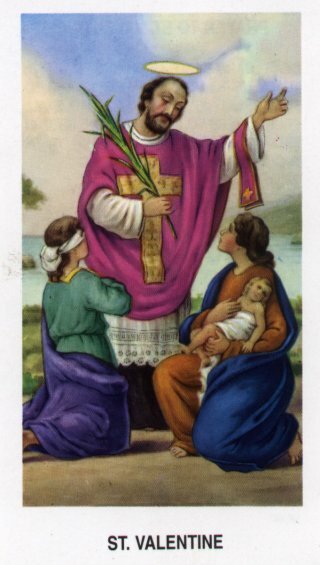 A second Saint Valentine candidate, believed to be a bishop of Teni, a province in central Italy, was executed in Rome. These men's status comes from legends of harboring Christians from persecution, curing the blindness of a cell keeper's daughter, and conducting marriages while they were forbidden during times of war. It is this, along with the traditions of Lupercalia, that came together to honor St. Valentine as the patron saint of lovers. 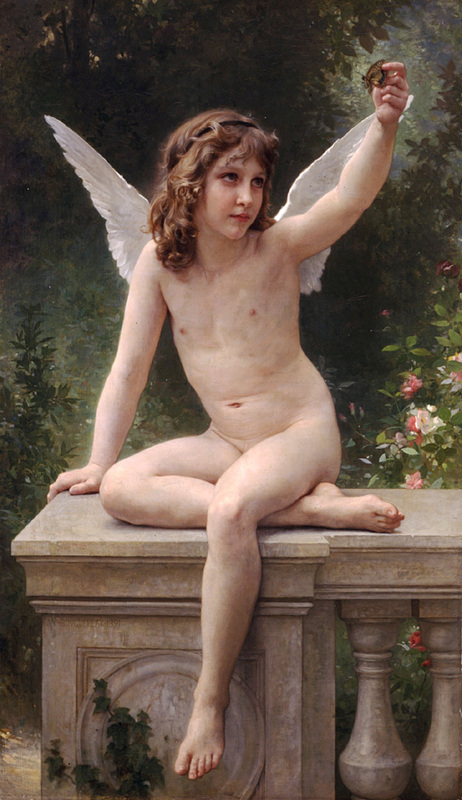 The Legend of "Eros", "Cupid" and "Amor"
From its association with Lupercalia, and that day's connection to fertility, comes St. Valentines association with love and romance. 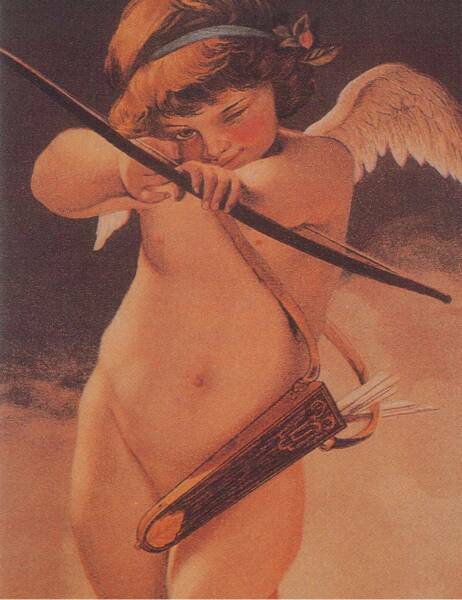 This led Valentine's enthusiasts to appoint the Roman god Cupid as a patron of Valentine's day. 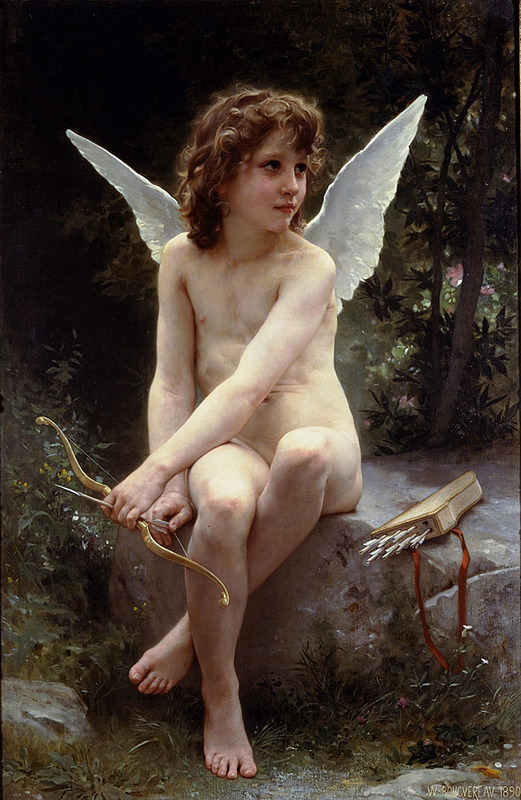 Cupid is also known as Amor or Eros in Greek mythology. 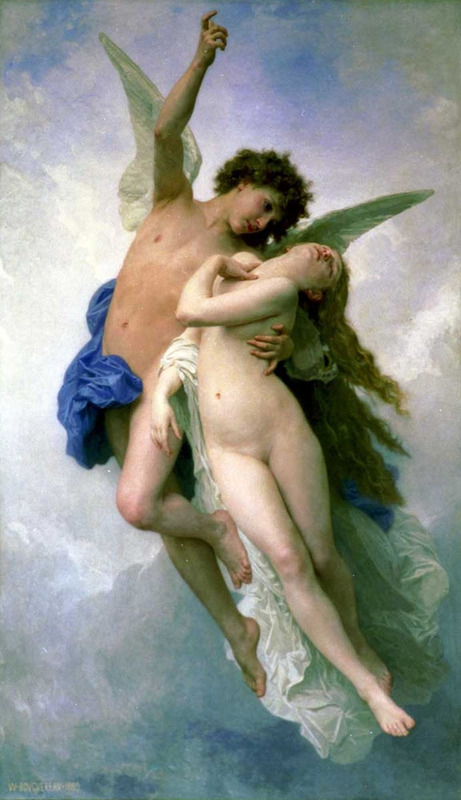 Eros seems to have been responsible for impregnating a number of goddesses and mortals. 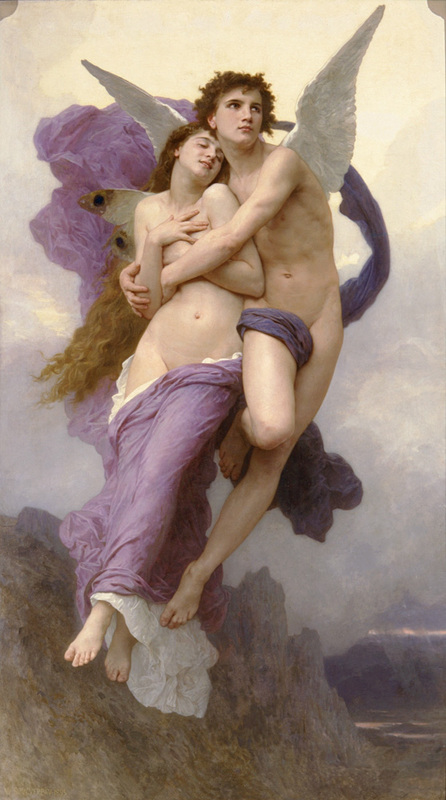 The ancient Greeks believed Eros was the "Love force", a force they believe was behind all of creation. There are many sweet things to do and ways to celebrate Valentines Day. This day for Lovers is usually celebrated by sending poems and simple gifts such as flowers or candy to friends and romantic interests. In the United States, Esther Howland is given credit for sending the first valentine card. Commercial valentines cards were introduced in the 1800's and now this date is highly commercialised but as in any holiday, it's the individuals intention that gives it the greatest meaning and purpose. The spirit of goodness continues as valentines are sent out with sentimental and romantic poems or verses and children exchange valentine cards at school. Two before and three behind. In Wales wooden love spoons were carved and given as gifts on February 14th. Hearts, keys and keyholes were favorite decorations on the spoons. The decoration meant, "You unlock my heart..!" In some countries, a young woman may receive a gift of clothing from a young man. If she keeps the gift, it means she will marry him. Some people believe that if a woman saw a robin flying overhead on Valentine's Day, it meant she would marry a sailor. If she saw a sparrow, she would marry a poor man and be very happy. If she saw a goldfinch, she would marry a millionaire. A love seat is a wide chair. It was first made to seat one woman with her wide dress. As it evolved, the love seat or courting seat had two sections, often in an S-shape. In this way, a couple could sit together, but not too closely..! Think of five or six names of boys or girls you might marry. As you twist the stem of an apple, recite the names until the stem comes off. You will marry the person whose name you were saying when the stem fell off. Pick a dandelion that has gone to seed. Take a deep breath and blow the seeds into the wind. Count the seeds that remain on the stem. That is the number of children you will have. If you cut an apple in half and count how many seeds are inside, you will also know how many children you will have. featuring master artist: "William Bougeureau"
Angelic Realm 01: "The Love Angels"
Angelic Realm 02: "The Guardian Angels"
Angelic Realm 03: "The Forgiveness Angels"
Angelic Realm 04: "The Faithfulness Angels"
Angelic Realm 05: "The Truth Angels"
Angelic Realm 06: "The Wisdom Angels"
Angelic Realm 07: "The Joyfilled Angels"
Angelic Realm 08: "The Loyalty Angels"
Angelic Realm 09: "The Creativity Angels"
Angelic Realm 10: "The Innocence Angels"
Angelic Realm 11: "The Nature Angels"
Angelic Realm 12: "The Warrior Angels"
Angelic Realm One: "The Love Angels" These Angels are purported to exist on the very highest level of Being and at the very closest approximation to the most holy sacred throne of the King and Queen of the Universe. As the holy scripture states over and over in many of it's passages, "God is Love", and as such manifests all the goodness in all of existance, in all of Creation, both in Heaven and upon the Earth. 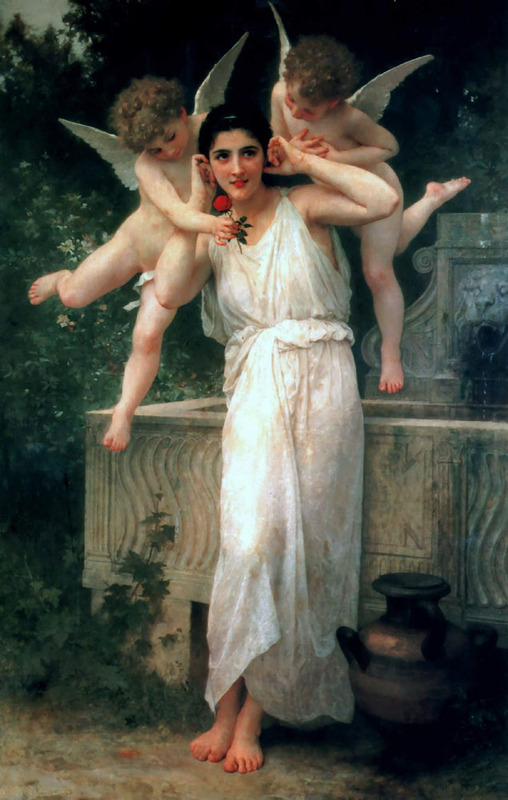 With such beneficent qualities, "The Love Angels" represent the ultimate guiding light in the enablement of all their petitioners to fulfill their purpose in Life and to Live their lives on Purpose. Attunement to "The Love Angels" brings immediate alighnment into doing the Will of God and expedites Healing Powere on every level of existance. It is through the Angelic Realm that all power flows into all subordinate Angelic Realms that follow. Angelic Realm Two: "The Guardian Angels" "Guardian Angels" are perhaps the most well known of all Angels dwelling within the "Angelic Realms". They are Spiritual Beings who are continually in the Presence of the Divine and take their greatest Joy in singing praises to Our Creator. "The Guardian Angels" serve as Divine Messengers, bringing God’s Will and Word to all humanity with their particular attention turned toward those who directly call upon them. Although for most of our lives we as humans seem unable to see "Our Guardian Angels", they remain ever present and always ready to protect and watch over us. The role of "Guardian Angels" is both to Guide the petitioner to good thoughts, words and deeds, as well as to Protect and Preserve us from evil. "The Guardian Angels" aid their petitioners in the fulfillment of Prayer and also serve in the capacity of representing individual souls to God at the time of Translation or death. "Our Guardian Angels" are intent on obtaining from God all the graces and favors conducive to our Eternal welfare and their greatest mission and desire is to see us home in Heaven. 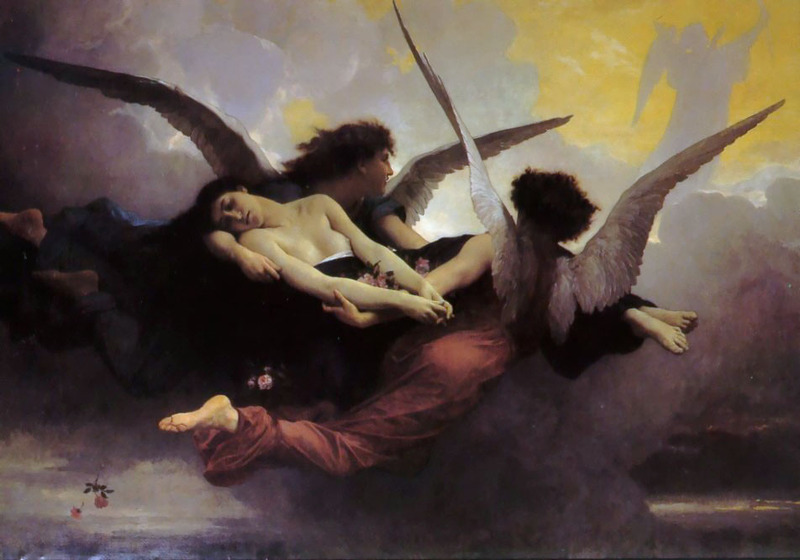 Angelic Realm Three: "The Forgiveness Angels" Whenever we are hurt or gravely disapointed along the path of life, we may call upon "The Forgiveness Angels" who are the foremost example of supreme Compassion in this world and the next. This Angelic Realm is whole-heartedly focused upon during those times in our lives when we can think of no earthly reason to forgive or be forgiven. The "Forgiveness Angels" dwell and have their being in a state expanded perception and higher understanding which is rooted in a realm beyond normal human possibility and comprehension. 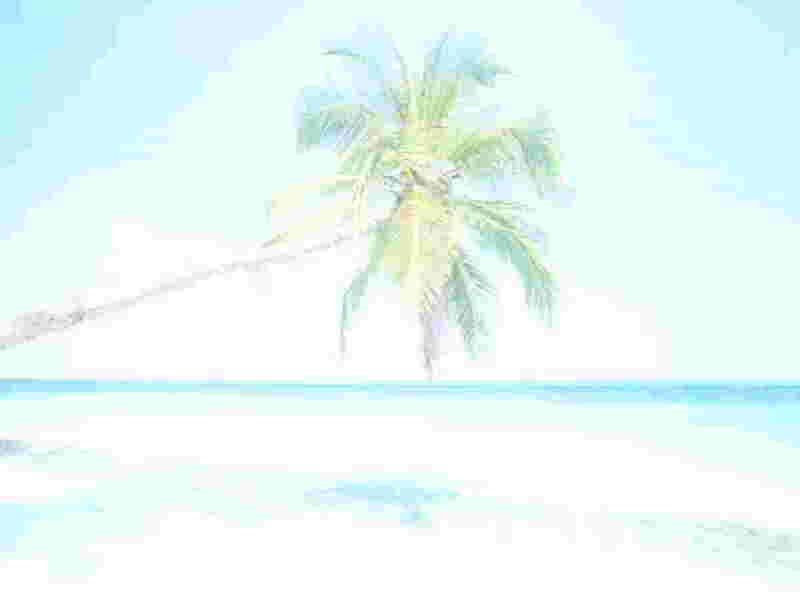 Angelic Realm Seven: "The Joyfilled Angels" "The Joyfilled Angels" may well be the Angelic group which is most sorely needed in the world with it's constant barrage of sadness, violence and chaos in the current day. 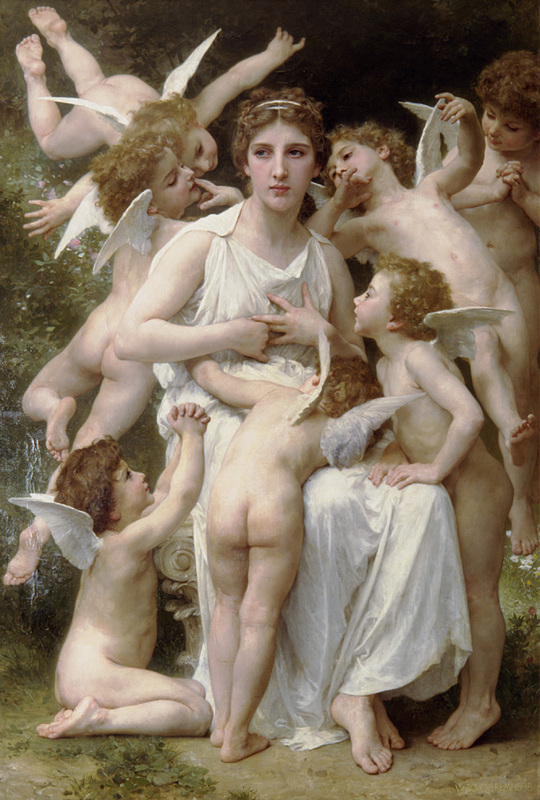 The enduring message of "The Joyfilled Angelic Realm" is to "Never Give Up" and to remember that regardless of how down trodden this short life on earth may become, "Father Mother God" can still fully Heal and Restore all injuries and inequities if we are but willing to humbly open our Hearts to the "Everlasting Joy" of their Holy Spirit. The Joyful state that results from "Realizing that God is Love..."
The Joyful state that results from "Knowing and Serving God..."
The Joyful state that results from "Rejoicing in and Praising God..."
The Joyful state that results from "Transmiting the Loving Will of God..."
The Joyful state that results from "Understanding the Purpose of Life..."
Angelic Realm Nine: "The Creativity Angels" In the quiet moments of early dawn or dusk, when our spirit longs to write, sing, dance, paint or draw, it is "The Creativity Angels" that revel in any opportunity given to cause us to be inspired and filled with meaningful Artistic expressions. 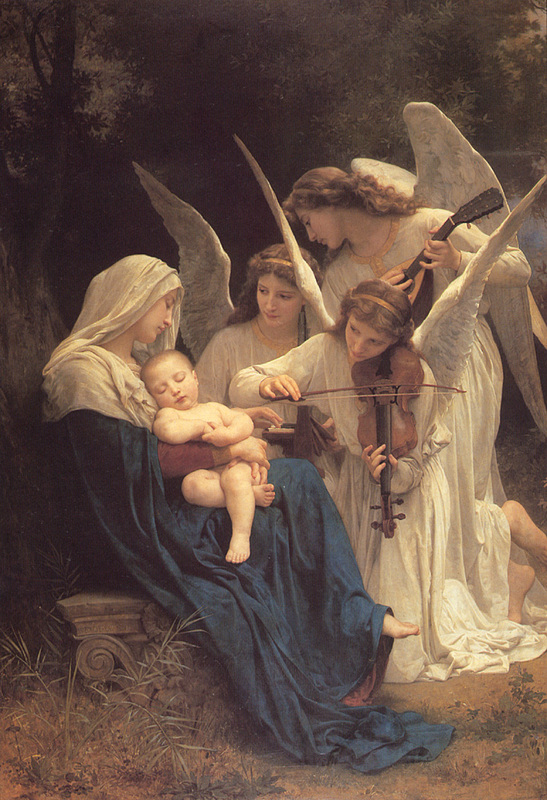 These Angels may appear when the mind is more still, quiet and yet focused on perceiving a deeper meaning to the myriad of artistic and expressionist mediums available. As in all Angelic appearances they must be called upon or invited by conscious desire or by the unwitting and often unforeseen circumstances that cause us to "Let go and let good be expressed naturally..."
Angelic Realm Eleven: "The Nature Angels" Whenever you have felt at Peace or in a deeper state of contentment while in a Nature filled or Natural setting you may well have been in the company of one or more of "The Nature Angels". The nurturing of an ever-closer relationship with the Creator through their Creation is the fulfilling mission of these Angels dwelling in a Natural and Supernatural realm of existance. So guide the Lovers to know what is to be. which is honest to the heart. Your art, the Lovers simply a medium. Is the one for which You light their Fire. who creates the Art of the Lovers. Presented here is a beautiful and romantic collection of my very favorite "Valentine's Day Poems". They can be used in creating "Romantic Valentine messages" for you're "Valentines Day Cards" for friends or you're beloved one. Lull'd by the moonlight have all pass'd away..! Gone are the cares of life's busy throng. Beautiful dreamer, awake unto me..! Here I have posted some "Valentine Sayings" one-liners that you can write in your "Romantic Valentines Day Messages" or "Valentines Day Cards". than to have never loved at all..."
"Love is an irresistible desire to be irresistibly desired..."
it's finding someone you can't live without..."
it's looking in the same direction..."
"True love stories never have endings..."
"Who, being loved, is poor..?" "At the touch of love and heart, everyone becomes a poet..."
I have in my heart for you..."
Look inside your heart, I'll look inside mine..."
"Love is life. And if you miss love, you miss life..."
because the lover endureth his torments willingly..."
a tender look which becomes a habit..."
"If music be the food of love, play on..."
but to one person you might be the world..."
"It is never too late to fall in love..."
"Where there is love, there is life..."
which reason does not know..."
"Take away love and our earth is a tomb..."
that you can never find the right words to tell them..?" all that stands in its path..."
when you're sure they won't laugh if you trip..."
a tree without blossom and fruit..."
"Grow old along with me, the best is yet to be..."
and the lips to pucker..."
it's the life in my men..."
"One of the keys to happiness is a bad memory..."
it's something you have to make. And you must use your imagination too..."
until maybe you fall in again..."
Today more than yesterday and less than tomorrow..."
And therefore is winged Cupid painted blind..."
Love but her, and love for ever..."
then a hundred, then a thousand more..."
Love, was all he said..."
"They do not love that do not show their love..."
"The course of true love never did run smooth..."
so long lives your love which gives life to me..."
and happiness takes his leave..."
but love from two sides heals..."
"Love looks not with eyes, but with the mind..."
and still gently allows you to grow..."
Without him, live no life..."
and you smiled because you knew..."
and the worst of nightmares..."
and I'll die by your hand which I love so well..."